Bringing you recommendations, reviews, and photos of all the best places to go, eat and travel. With reports of the recession filling the newspapers and airwaves with disheartening information, it’s nice to get a shot of optimism. 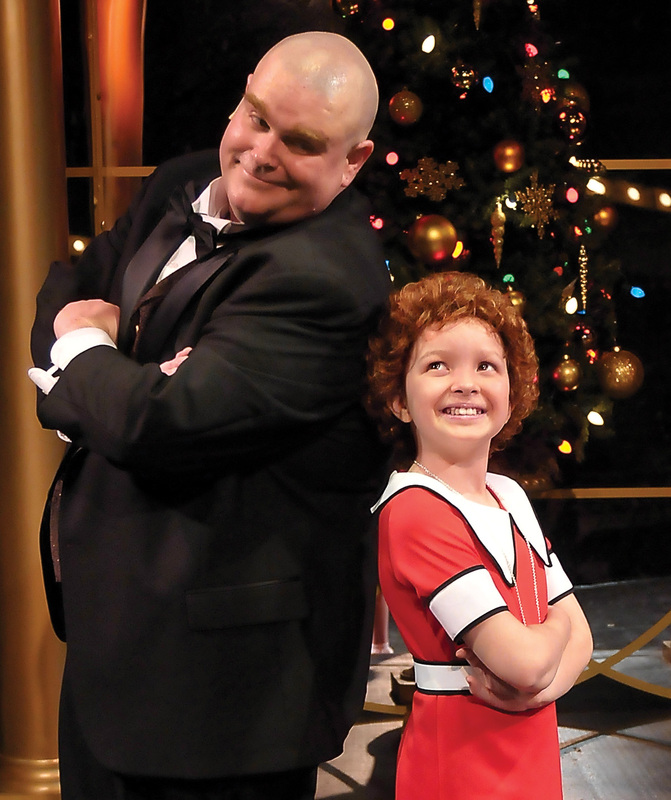 Beef and Boards Dinner Theatre, 9301 N. Michigan Street, provides just that in the form of Annie. Everyone’s favorite orphan needs no explanation or introduction, unless you have been out of the loop since its conception in the funny pages. Just in case, a little history. Little Orphan Annie, created by Harold Gray, first appeared in 1924. 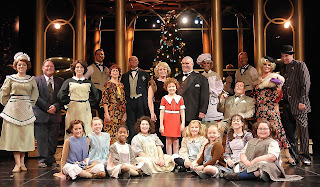 The character’s name was fashioned after Indiana’s own James Whitcomb Riley’s poem Little Orphant Annie. The Broadway version won seven Tony Awards. The movie version starred Albert Finney, Carol Burnett and Aileen Quinn playing the little redheaded orphan. Following a contest with the winner being chosen American Idol-style, the title character was portrayed by Kara Oates. Oates put forth a performance of sweetness backed up by two fists of feistiness. The best song performed by this pint-sized lead was Maybe, followed by her performance with the rest of the orphans singing It’s the Hard-Knock Life. Ty Stover turned in a strong performance as Oliver “Daddy” Warbucks, with his best time in the spotlight occurring with his interactions with Annie. Last seen in this role in 2002, Stover most recently portrayed Old Deuteronomy in B&B’s Cats. Proving his talents are more than just his soothing baritone voice, Stover bared his gentler, sensitive side in this musical. Nice touch; keeps the audience on its toes in regard to this actor’s untapped abilities. These two vastly different performances of Stover’s garner even more of my respect and creates a wish to see him in more complicated roles in the future. 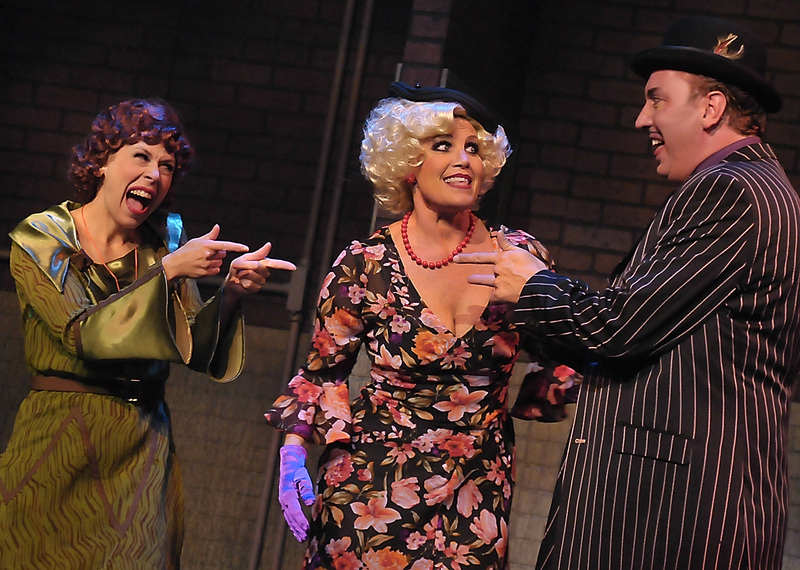 Miss Hannigan, played well by Cynthia Collins, connects solidly with Jeff Stockberger as Rooster. Easy Street was nicely done, with help from Carol Worcell as Lily St. Regis. Kenny Shepard once again proved his worth by taking on numerous roles throughout the show, including emcee beforehand. Shepard’s characters were each a complete transformation from the prior, including mannerisms, voice and costume. Had he spent even one instant longer on stage than he did, John Vessels would have completely snatched the thunder away from every other cast member. Known in Indianapolis for his work as the good Reverend Oglethorpe in the packed-house Smoke on the Mountain saga, Vessels upstages the rest of the cast with his perfectly-timed deadpan style. Setting the bar higher for the rest, while portraying the valued butler Drake, as well as radio announcer Bert He aly, Vessels got the most reaction from audience members and steps into this week’s Gotta Go spotlight’s high beam. The only error made in regard to Vessels is director Eddie Curry not using him onstage far more. Bottom Line: B&B has put forth the classic, Annie, in such a way that it should become an annual tradition for the entire family. If you have an event, restaurant or festival you would like reviewed, send an e-mail to commnews@in-motion.net or call 241-7363. Me, I will be right here just thinking about Tomorrow. Elizabeth J. Musgrave is a syndicated columnist, theater critic, and travel writer. You can now follow her on facebook or Twitter and catch her as Indy's Arts & Entertainment Adviser on 93 WIBC's Saturday Morning News Show, giving her quick Gotta Go list of things to do in the Indy area, including restaurants, festivals, events, theater and films. *Visit www.beefandboards.com for tickets, show times, and details. --This post was originally published under Gotta Go in the West Side Community News in Indianapolis, and the West Indianapolis Community News.